(Silver Spring, Md.) -Velocity is officially restoring television's definitive car restoration franchise. Renowned design expert Chip Foose makes his return with the all-new OVERHAULIN' - featuring his most amazing and imaginative automotive builds yet. The revamped model of OVERHAULIN' premieres October 2 at 9 PM ET/PT on Velocity, Discovery Communications' network for the upscale male audience. As the father of the modern hot rod and head of the iconic Foose Designs, Foose is revered by gearheads in every corner of the world. His car builds represent the ultimate combination of art, technology and ingenuity, resulting in some of the most unique and breathtaking vehicles anywhere. However, the all-new OVERHAULIN' also goes beyond the garage, exploring engaging human stories and the strong emotional connection between man and machine. The restoration projects feature deserving individuals ranging from returning veterans to those negatively impacted by the tough economy. Each altered auto becomes a life-changing surprise for its unknowing owner. 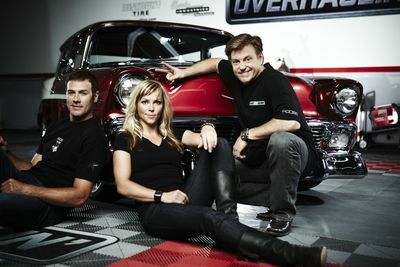 In addition to Foose, the OVERHAULIN' team includes some of the most talented design professionals anywhere. Longtime collaborator and co-host Chris Jacobs returns to help lead an automotive dream team in the garage. Jacobs and Foose are joined by fabrication and restoration expert Jessi Combs, also one of the hosts of the Velocity series ALL GIRL GARAGE. "Velocity is the perfect home for OVERHAULIN'. From the look and feel of the network to the knowledge and passion of their viewers; there's no better place for this franchise," said Foose. "I am especially proud that the all-new OVERHAULIN' is about more than just cars. These real human stories show how vehicles can be a catalyst for cherished memories." "Since launching Velocity last October, we have learned a great deal about what our viewers want to see on our network. They come to Velocity for the world's most respected and knowledgeable experts representing the topics that they are passionate about," said Robert Scanlon, Senior Vice President of Velocity. "OVERHAULIN' and Chip Foose are perfect additions to Velocity because they represent the very best of automotive programming. There is no better vehicle designer than Chip Foose, and the all-new incarnation of OVERHAULIN' will be the most entertaining and informative yet." OVERHAULIN' is produced for VELOCITY by WATV Productions. 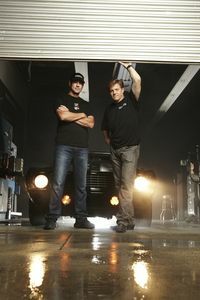 Lenny Shabes and Chip Foose are Executive Producers. David Lee is Executive Producer for Velocity. Discovery Communications (Nasdaq: DISCA, DISCB, DISCK) is the world's number one nonfiction media company, reaching more than 1.5 billion cumulative subscribers in over 180 countries. Discovery empowers people to explore their world and satisfy their curiosity through 100-plus worldwide networks, led by Discovery Channel, TLC, Animal Planet, Science Channel, Investigation Discovery, Planet Green and HD Theater, as well as leading consumer and educational products and services, and a diversified portfolio of digital media services, including HowStuffWorks.com. For more information, please visit www.discoverycommunications.com.